A massive thank you to everyone at The Cape who have recently donated £500 to Forever Manchester to help us fund and support community activity across Greater Manchester. 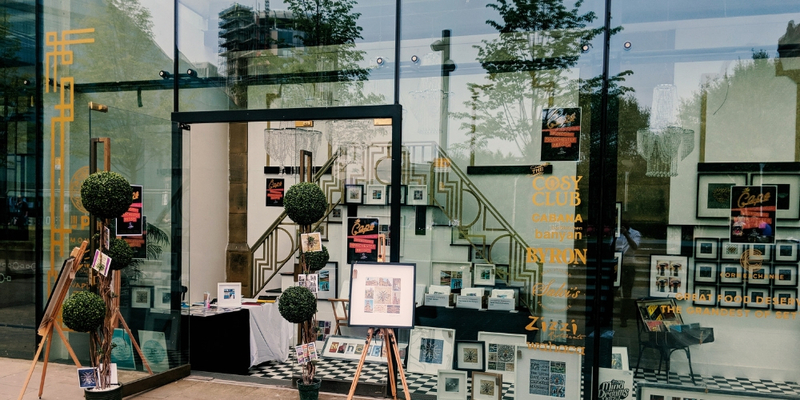 The Cape is the NQ Gallery’s pop up gallery on Fennel Street, situated next to Escape Hunt, has seen fantastic levels of interest since their opening in May 2018. Showcasing the work of the best artists in Manchester including Ben Sedman Photography, Phoenix Phusion and many more. They have transformed the space into an artists haven. Their work will no be longer locked up behind closed doors in the evenings, the glass walls mean their work can be enjoyed by everyone, all day and night. Open from 11am each day, you’ll be able to meet some of the artists that are situated here and talk to them about what makes their work so special. Go and give them a visit and discover the work of these fantastically talented artists. To find out more about The Cape and The NQGallery follow them at @TheNqGallery or click here for more information on the artists and exhibitions.